Looking toward Shovel Point in the distance at Tettegouche State Park in northern Minnesota on a heavily overcast day. A new woodblock print, with watercolor, of a scene characteristic of the Cascade River on the north shore of Lake Superior. The river has carved out rugged paths in the rock, leaving both falls and pools throughout the forest in the hills just above Lake Superior. 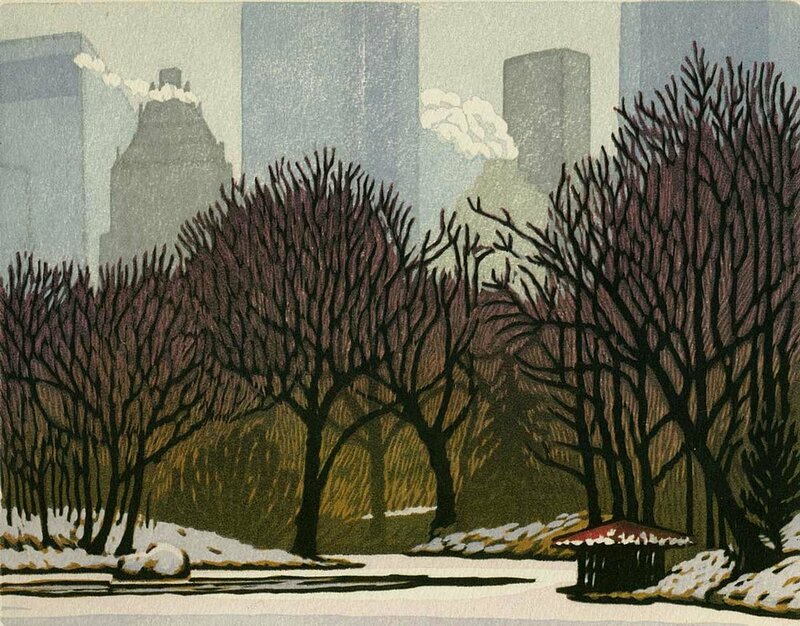 This print is a one-block print in black with watercolor added after printing. 5.5" x 4"; Edition of 24; $200. 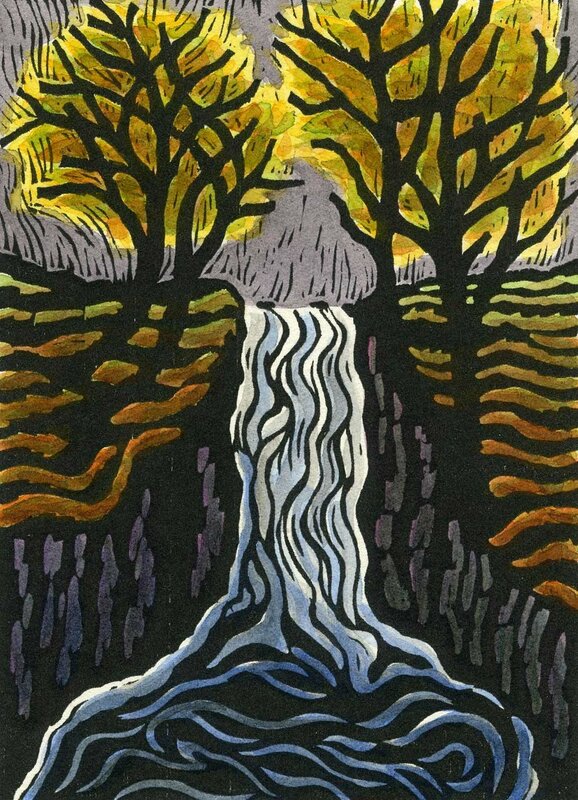 River Runs II is another version of the smaller five block print, The River Runs, that I did a few years ago. The scene is of the Gallatin River in western Montana, between Bozeman and Big Sky. 8" x 8.5" On Somerset paper. Edition of 20; $350. The golden hills in the golden state of California are the inspiration for this woodblock print. The hills often don't seem to be very big, but they make the giant oaks look tiny.